Back on August 21st, we told you in a story on ANP about a warning from 'illuminati insider' Jacob Rothschild that 'unknown consequences were about to be unleashed upon America and the world' after he warned in his company's semi-annual financial reportthat the world was now watching the biggest financial experiment in history. We've since reported that both the government of Germany and the government of Czechoslovakia have recently warned their citizens to be prepared for something huge in their futures, particularly encouraging their citizens to have at least 10 days worth of food on handin case of 'an attack or a catastrophe'. Is it just a coincidence that back on June 23rd, Germany's Russia ombudsman warned of a coming NATO-Moscow war? As we reported back on August 20th, the nation of China has also officially ordered its citizens to prepare for World War 3. What do national government's know that we don't know? According to Trends Forecaster Gerald Celente, when all else fails in the financial world, they bring us to war. In the first video below, Steve Quayle joins David Knight from Infowars to talk about the world's descent into World War 3. In the recent news stories excerpted below, we get many more signs their warnings are right on target and the 'timeline to catastrophe' is right on schedule. We also hear in this story from Fox 25 in Boston of mysterious military helicopter drills that have been taking place across that region involving the US Department of Defense. With 'chaos preparations' seemingly being taken by government's now across America and the world, the ominous warnings continue from a variety of different sources. According to the CEO of Deutsche Bank John Cryan, 'fatal consequences' may await 'savers and pension plans'. 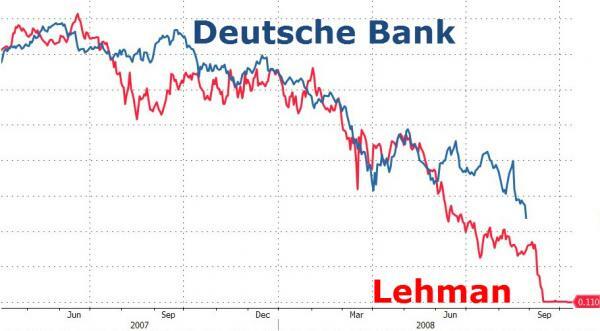 Cryan also implicitly suggested that if Deutsche Bank goes down, it's taking everybody else with them. Quite interestingly, we're also told that he made these comments ahead of an upcoming banking conference to be held August 31st and September 1st called "Banks In Upheaval". If we need any more proof of dark times ahead, we hear in the 2nd video below and read in this story that 'illuminati insider' Rothschild is also dumping the US dollar and purchasing gold, leading us to ask, what does Rothschild know that we don't know? As we also hear Rothschild isn't the only billionaire sending out signals warning of impending collapse. 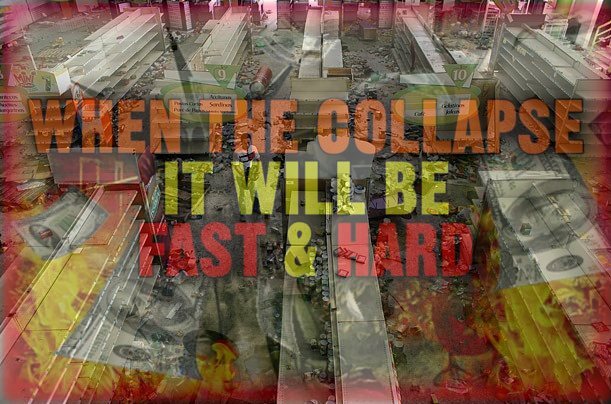 As we learn in this story from Jeff Berwick at the Dollar Vigilante, these recent moves by billionaire's, and now government's, are a warning that the 'timeline of catastrophe' is moving full speed ahead. 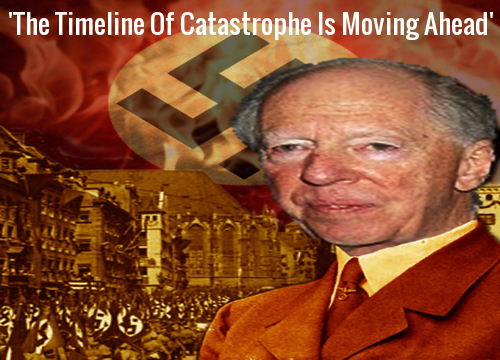 Financial disasters track these timelines and Rothschild knows all about it. He’s the best man to predict what is going to happen because he and other globalist elites have created the timeline of catastrophe that we regularly analyze and predict. And he’s being clear that this timeline of catastrophe is moving ahead. For observers like us – and you – he is stating the obvious. And others are making it clear as well. With just a month-and-a-half until the end of the Jubilee Year, very connected billionaires are warning that things are going horribly wrong. It’s no coincidence. George Soros began to move heavily into gold a few months ago and so did his buddy Crispin Odey. And now Jacob Rothschild himself is moving into gold… We are certain they already own tremendous sums of it… but he is buying even more now in the final days of Jubilee 2016. Life in Venezuela now consists of empty grocery stores, record rates of violent crime, and widespread shortages of just about everything. The economic and political conditions have been deteriorating for years, but recent stories coming from this once-rich nation are astonishing. Bars have run out of beer, McDonald’s can’t get buns for their Big Macs, and rolling blackouts are a regular occurrence. Theaverage person spends over 35 hours a month waiting in line to buy their rationed goods, and even basics like toilet paper and toothpaste are strictly regulated. The fiasco began when the price of oil collapsed and sent Venezuelan finances into chaos. The oil-dependent nation, despite its imposing government policies, couldn’t prevent the fallout. The current problems are further compounded by rampant corruption throughout the Venezuelan government. The likelihood of a peaceful resolution is decreasing by the day, and political dissents are likely to be met with brutal crackdowns. The desperation of the masses could explode violently under the right circumstances, and there are few things more dangerous to a nation than a hungry population. For those who still believe that what is now happening in Venezuela could never happen here, the story reminds us that Venezuela's health care system used to be considered a huge success and now shortages are everywhere. Medical gloves, soap and antibiotics have vanished and once treatable diseases such as tuberculosis and malaria are exploding, along with malnutrition. 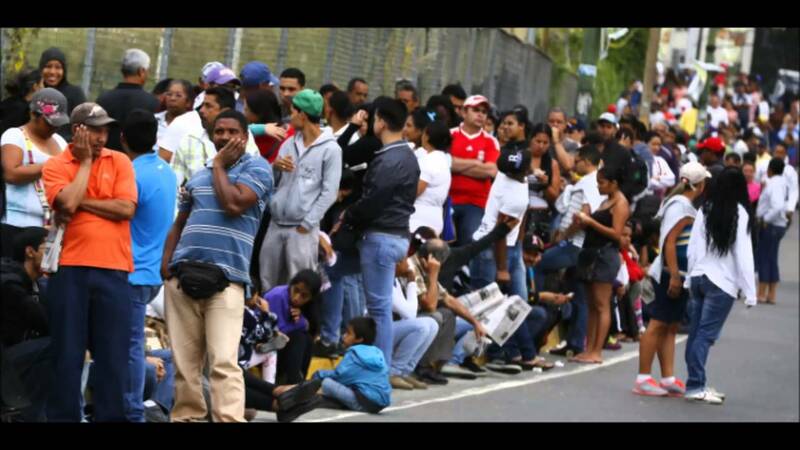 We're told that life in Venezuela is built around waiting in lines...and waiting...and waiting...and waiting. We're also told that slavery has been legalized in Venezuela after the government imposed 'forced labor policies' to keep food production going with President Maduro's emergency decree promising harsh punishments for those who refuse to work the fields without pay. All rights and liberty thrown completely out the door as the country continues to descend into chaos. A glimpse of America's future? As we've previously reported on ANP, Barack Obama has all of the executive orders necessary at his command to turn this once free nation into a nation of slaves. As we read in another story from Zero Hedge, there are 5 factors that could turn America into another collapsed empire including a rapidly eroding work ethic. That can be seen quite easily in the fact that most millenials have less than $1000 in savings while living paycheck to paycheck. What happens to these people when crisis strikes? 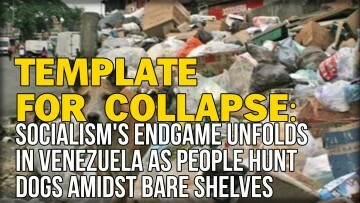 The story from The Organic Prepper tells us that now is the time to get prepared for what is likely coming to America. While it may still be a year away, recent signs and events show us it will likely be much sooner. How can we get ready for what we hope and pray never arrives? 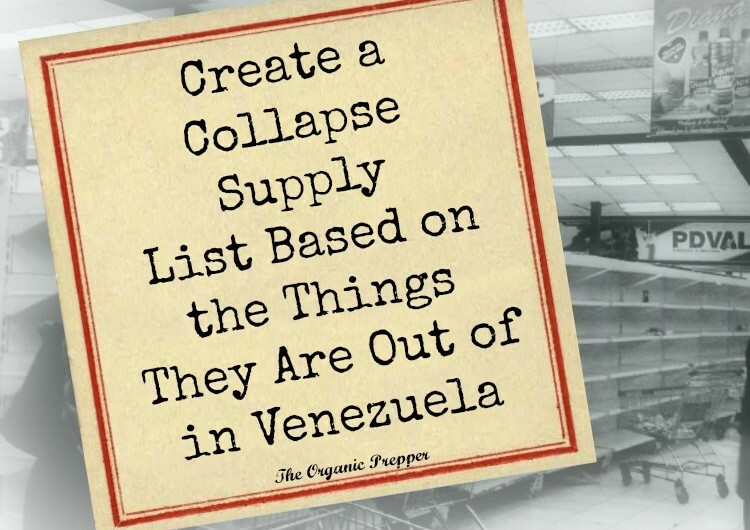 According to their story, we should be making a list of supplies based upon what they're now running out of in Venezuela. As the people of Venezuela are now learning, if we wait until the crisis arrives before we get prepared, it's already far too late. From food and water/milk to basic necessities such as toilet paper, toothpaste, soap and other hygenic supplies to medical supplies such as bandaids, antibiotics, and other life saving medications, the list of things we take for granted here in America every day may no longer be here for us as they are now. While America may not experience things such as rolling blackouts and the lack of public utilities such as running water or sewer services, imagine how life might be if we suddenly found ourselves without such 'luxuries'. Could you make it through your days without electricity, a hot shower or air conditioning on brutally hot days? While we may not like illuminati billionaires nor government's, we should all watch what they're now doing and listen to what government's across the world are saying...it's quite likely that they know something that most Americans don't know....time is running out on the current system. It's in our faces every day now. We're almost out of time. As Steve Quayle and Gerald Celente know well, throughout history when financial systems fail, govts inevitably bring us to war as resources such as food become less and less available. As more and more evidence emerges that the global financial system is failing, we move ever more closer to very darks days ahead for America and the world.